"Land clearance, mainly for agriculture, is perhaps the single most important cause of environmental degradation, and loss and depletion of species and ecological communities both in Australia and worldwide. Almost 80% of mammals and about 60% of birds listed by the IUCN have declined as a result of habitat loss." In terms of the diet of feral cats, it is important to remember the extent to which they prey on rabbits and introduced rodents. On Macquarie Island, 82% of the cat scats and 71% of the stomach contents examined contained rabbit remains (4). Around Lake Burrendong in central eastern NSW, 68% of the volume of cat scats was composed of rabbit, and a further 11% of carrion, that is, kangaroos killed by shooters and sheep that had died or been killed by a larger predator (5). Scats were collected for 3 years, during which time the rabbit calicivirus arrived in this area of NSW. Even though the rabbit population declined by 90%, rabbits were still a major prey species. Ten months later, house mice increased as a component of the diet, maybe due to the decline in rabbits, but possibly just because they were plentiful, and cats are opportunistic predators. 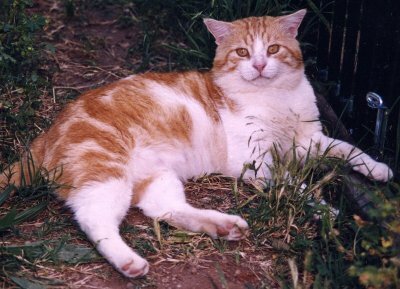 Few native mammals were eaten in this study, and birds are seldom an important prey item for mainland cats (5). Worldwide, most extinctions have occurred on islands. Attention is often focussed on the role of introduced cats, but in fact rats are responsible for twice as many extinctions as cats (6). Rats alone prey on birds more effectively than cats alone in all life stages from eggs to ground-nesting adults. Rats are found on the majority of major island groups. Predation by cats can control their numbers and benefit bird populations, even when the cats themselves lightly prey on the birds. For example, on Stewart Island, remains of the endangered kakapo were found in 5.1% of cat scats, whereas rat remains were found in 93% of scats. Cats benefit the kakapo by reducing rat predation. An attempt to eradicate cats from Amsterdam Island was abandoned after rat and mouse populations increased rapidly. On Raoul Island, rats were the most frequent prey found in both cat stomachs and scats. Bird remains found were those of common songbirds on the island; few seabirds were taken. There are many examples of islands where seabird populations have been reduced by Norway rats, and since rats are the predominant prey of cats, the researchers concluded: "One management option for Raoul Island is to eradicate cats but this may bring little benefit to bird populations." (7). This point is well illustrated by the example of Macquarie Island, where cats were eliminated by 2001 (8). However, in the 6 years following the eradication, the rabbit population exploded, reversing all previous control efforts. As a result, vegetation cover was severely damaged and petrel burrows collapsed as a result of rabbit tunneling. Examination of stomach contents showed that cats had been major predators of rabbits. The 157 cats shot in 1997 would have eated 4000 adult sized rabbits, as well as 103,000 mice and 36,000 rats each year (8). Thus, the removal of cats had unintended and negative consequences.